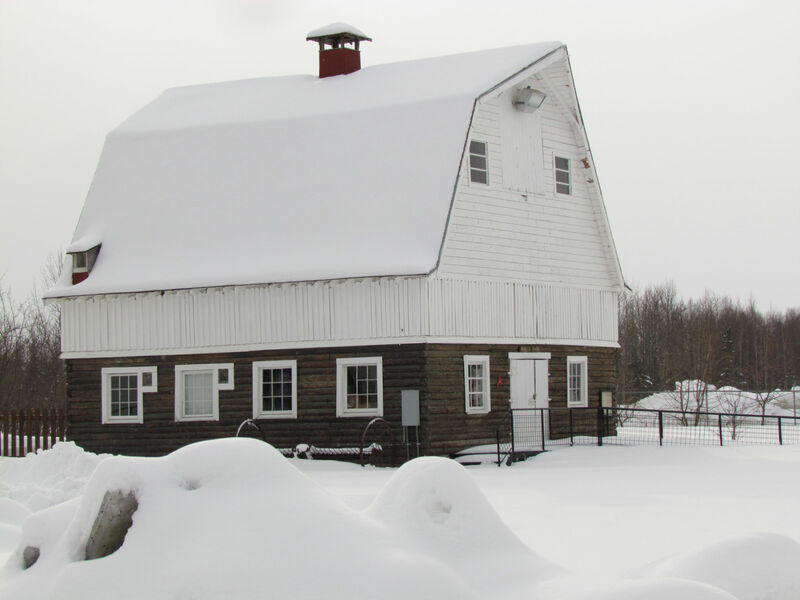 Anyone who travels through the eastern part of Alaska’s dramatically beautiful Matanuska Valley soon finds a Colony barn enhancing the landscape. 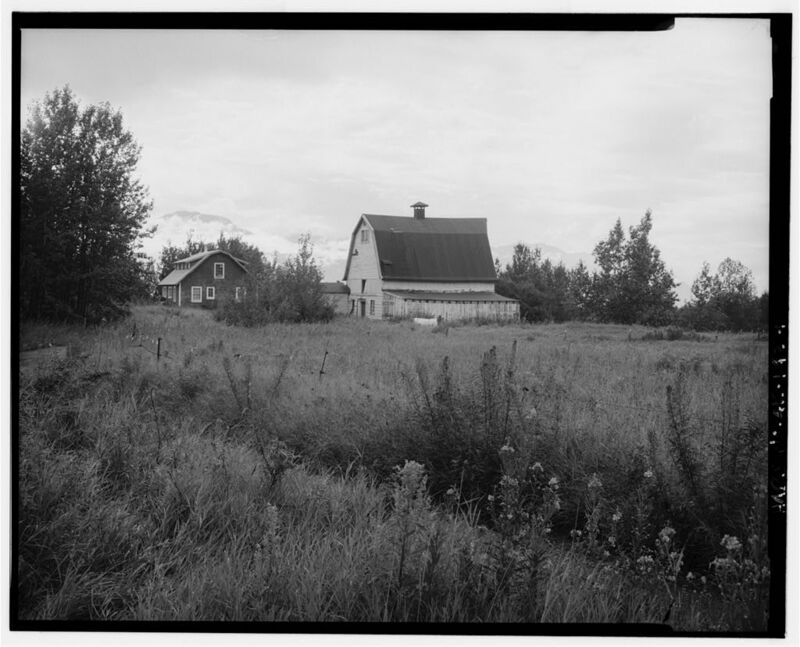 These striking Valley landmarks are the enduring legacy of an all-but-forgotten chapter in American history, when the U.S. government took a direct hand in the lives of thousands of its citizens, offering Depression-distraught farm families an opportunity to begin again in a far-off land with government financing and support. 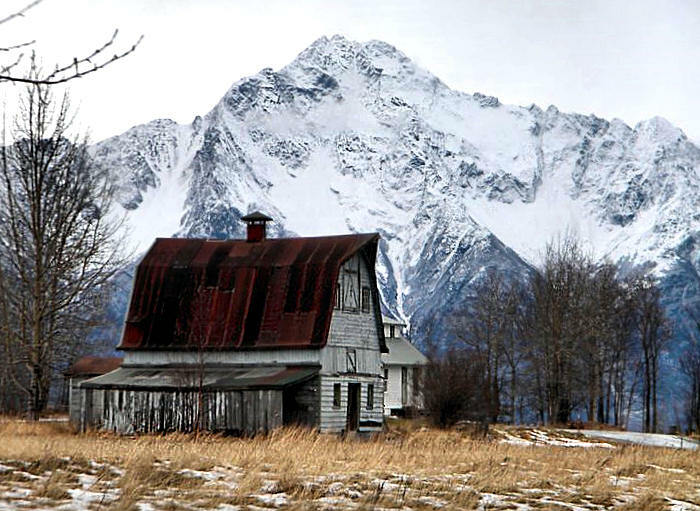 The Matanuska Colony Project was part of President Franklin Delano Roosevelt’s New Deal, a series of economic programs designed to provide the “3 R’s”: Relief, Recovery, and Reform.” Relief for the poor and the unemployed, Recovery of the economy to normal levels, and Reform of the financial system to prevent a repeat depression. 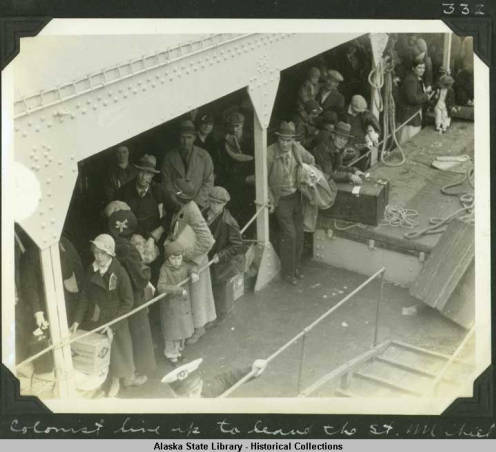 The decade of the 1930’s profoundly altered the course of Alaska’s history, as relationships changed between the citizens, the state, and the federal government, and rugged Alaskan individualism gave way to an acceptance of the government’s increasing role in daily life. 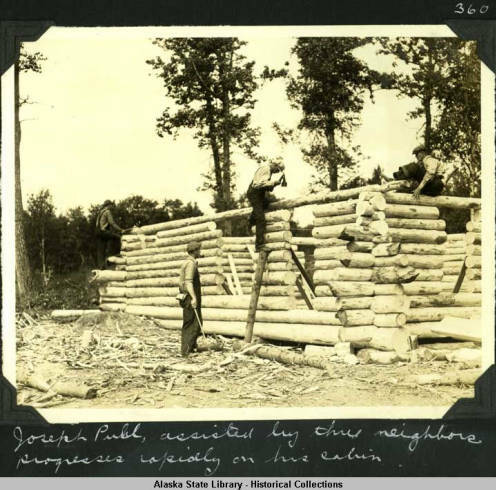 The Matanuska Colony was not the only government rural rehabilitation project; it was in fact only one of a multitude of complex, ambitious and controversial programs initiated under Franklin Roosevelt’s New Deal Federal Rural Development Program, and other resettlement projects included Dyess Colony, Arkansas; Arthurdale, West Virginia; the Phoenix Homesteads in Arizona; and similar colonies in over a dozen other states. 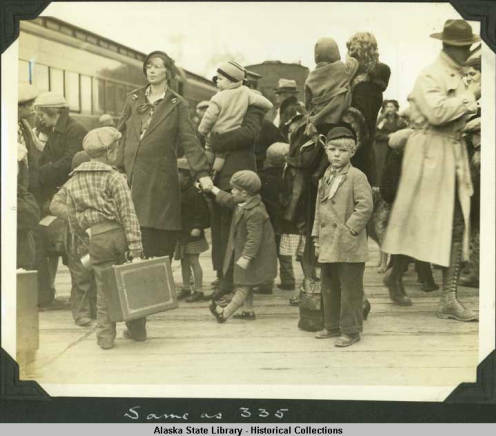 “Madison, March 19–(AP)–Modern pioneers, in the person of 67 northern Wisconsin families now on relief, will begin their exodus to a “new frontier” and a ‘new life’ in Alaska late in April. 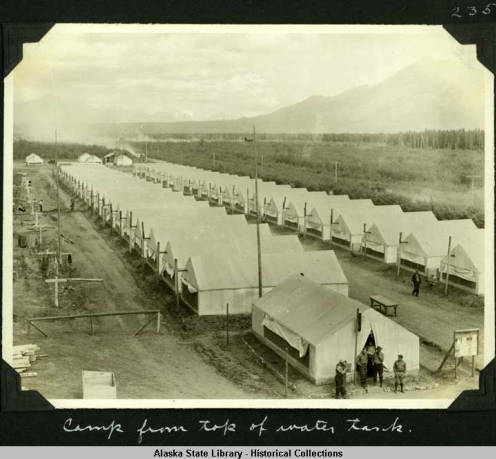 “Arlie Mucks, president of the Wisconsin Rural Rehabilitation Corporation, announced that Wisconsin’s quota of the 200 families which will seek to rehabilitate themselves under federal direction in the fertile Matanuska valley, will sail from Seattle, Wash., in May together with similar groups from northern Michigan and Minnesota. 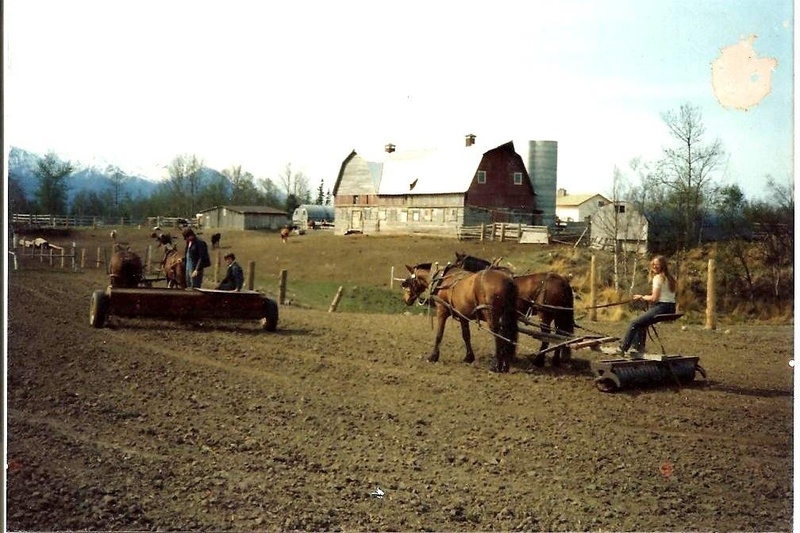 “All qualifications have not been determined, Mucks said, but the eligible families must have been on relief for some time, their members must be healthy and they must have an agricultural background. 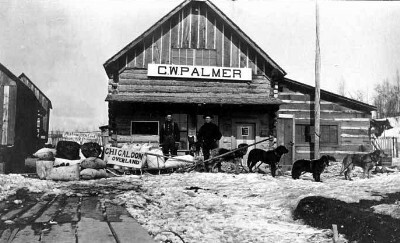 The husband and wife must be between 35 and 40, and willing to settle in the new Utopia..
“Four hundred CCC men and members of transient camps on the Pacific coast are being sent to Palmer this month to clear the land, build roads and houses, as well as a creamery, school building and community hall. 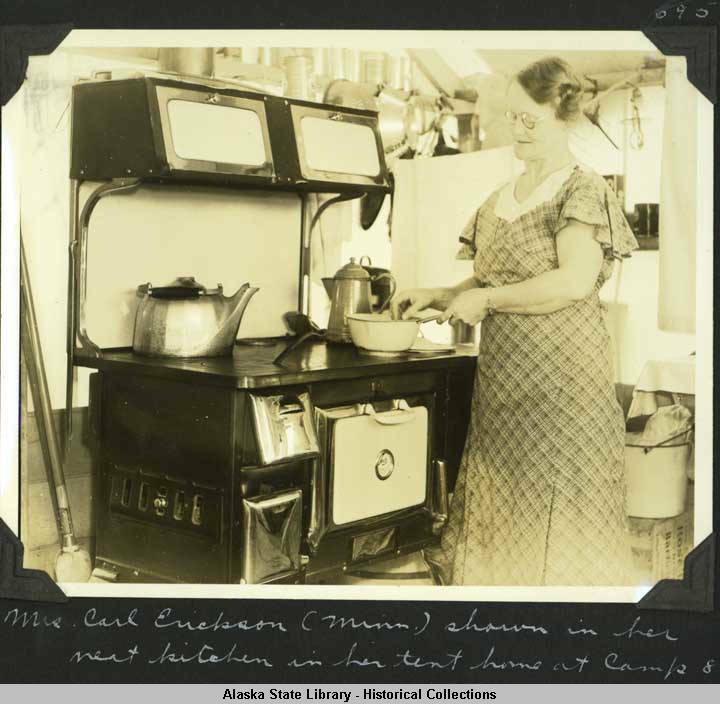 Although fraught with inevitable bureaucratic entanglements, frustrating delays, and a variety of other distractions, the Matanuska Colony actually thrived for the most part, and nearly 200 families remained to raise their families and make their permanent homes in Alaska. 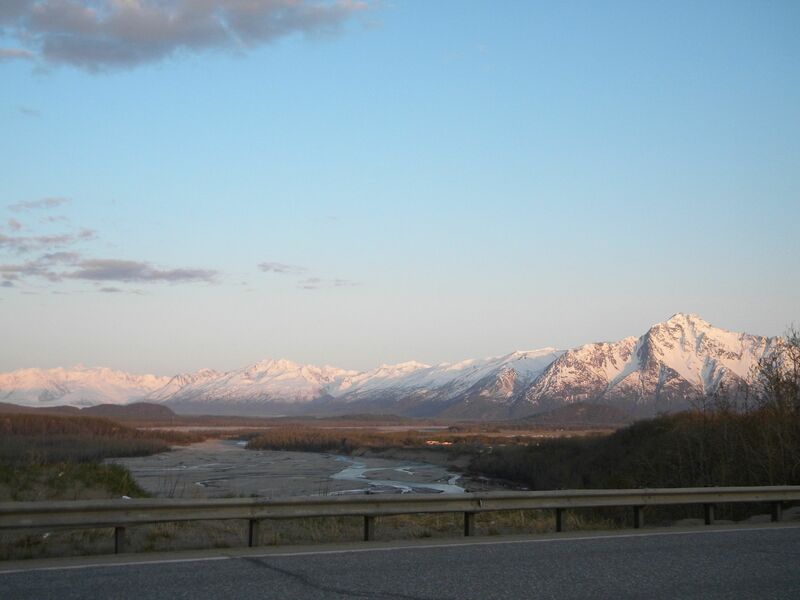 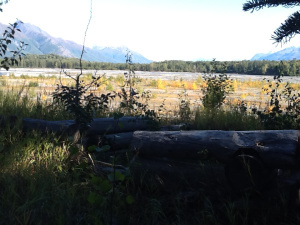 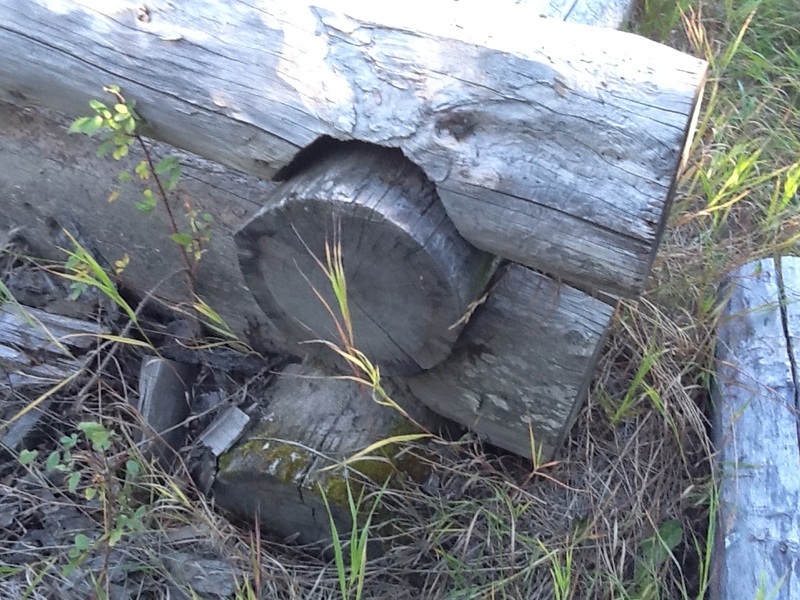 Highways were built, the wide Matanuska and Knik Rivers were bridged, and the town of Palmer became the center of commerce and society in the Valley. 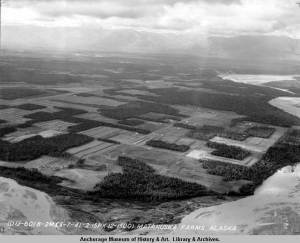 By 1948, production from the Colony Project farms provided over half of the total Alaskan agricultural products sold. 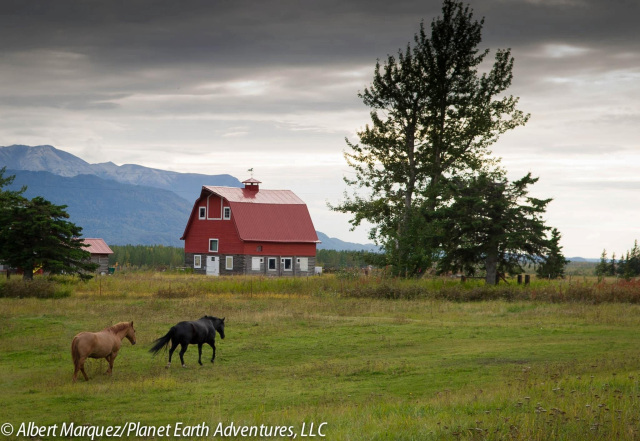 Today the Matanuska Valley draws worldwide attention for its colorful agricultural heritage and its uniquely orchestrated history. 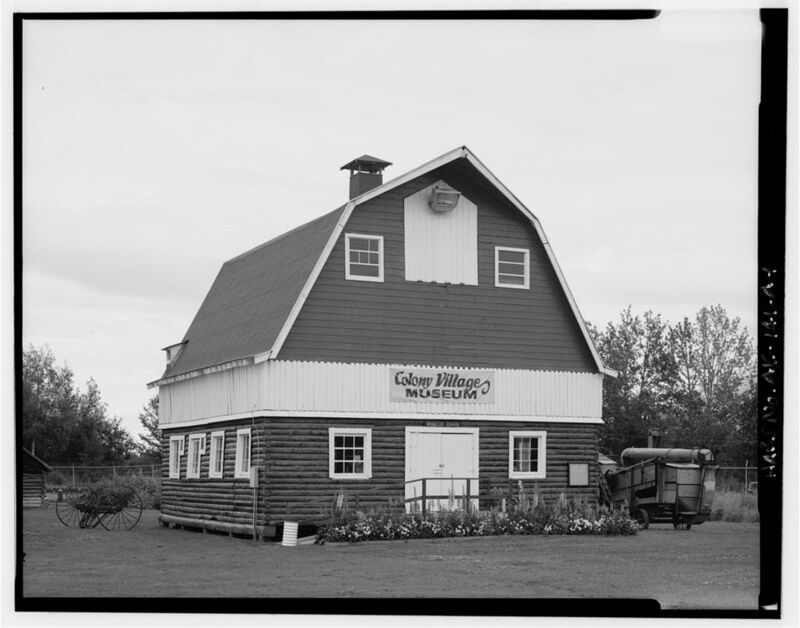 The iconic Colony barn, often seen around the Valley now in artwork, logos, advertising, and other uses, has become a beloved symbol of Alaskan history.